Questions surrounded the Minutewomen coming into the season, but Nicole Jones was not one of them. 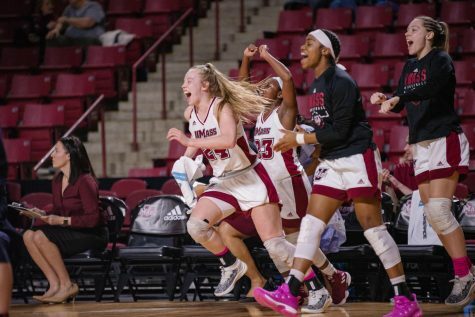 Massachusetts women’s basketball coach Marnie Dacko believes that her team’s success will rely heavily on defense throughout the season. Jones, a 6-foot-2 center from Rochester, N.Y., has provided the presence in the paint that her coach has been looking for. 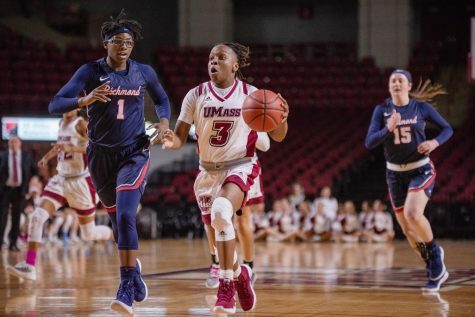 On Sunday, the sophomore led the Minutewomen past Villanova, 55-47, evening UMass’ record to 2-2. Jones recorded her first double-double of her young career with 22 points and 12 rebounds on 9-of-11 shooting. She also added one block and one steal. 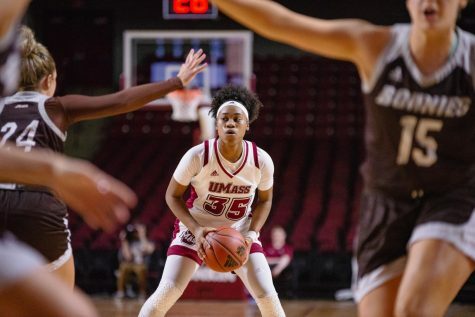 After committing a critical foul late in the team’s previous game against New Hampshire, Jones bounced back with her best performance yet. 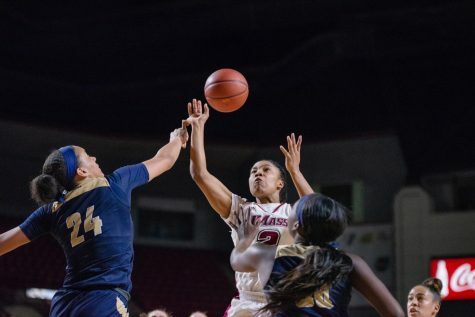 Aside from her recent offensive accolades, Jones owns supreme defensive skills. In four games, the sophomore leads the team in blocks with five and rebounds with 19. 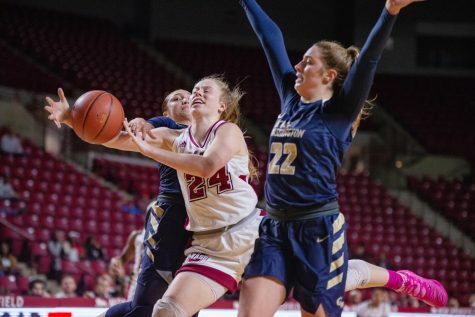 Dacko believes that her strong point is defense, but her offense continues to develop. 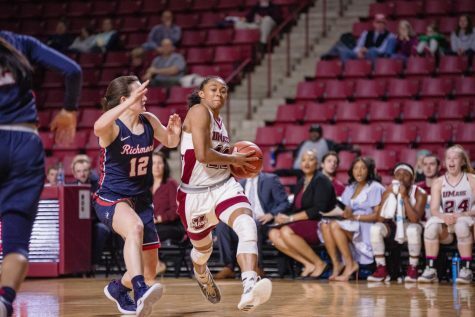 After just missing a double-double by one rebound against Boston University, Jones’s convincing double-double against the Wildcats on Sunday could mean more to come. Villanova, who appeared in the NCAA Tournament last year, was 2-0 before entering the Mullins Center. 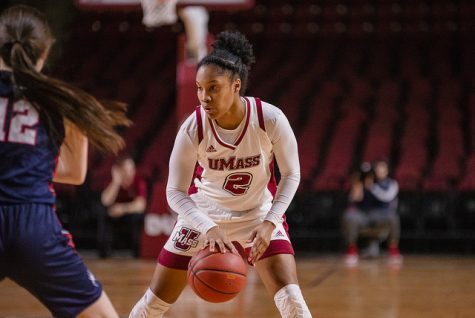 In their losses, UMass has shown weakness bringing down defensive rebounds. 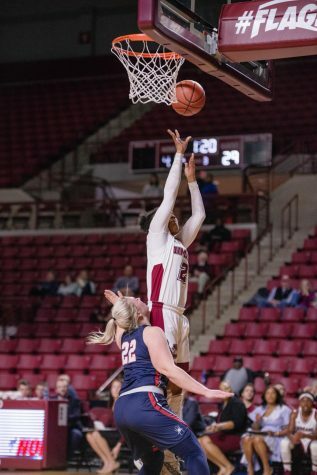 That was halted by Jones on Sunday, whose 12 rebounds created offense both for her teammates and herself. 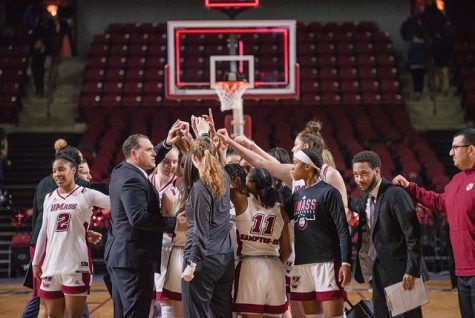 After defeating the Terriers in the first game of the season, Jones said that she needed to stay positive and keep her energy up so that her teammates could feed off of her. There’s no question Jones possesses intangibles in her game, but Dacko would like to see her imposing player get better still. Prior to the season-opener, Dacko illustrated the point that her bigger players would play a big role on both sides of the ball. The forwards and centers not only need to get stops on defense, but need to put the ball in the net. 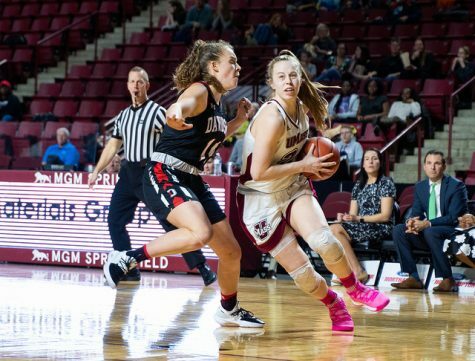 The majority of UMass’ scoring comes from its forwards and centers.